Octavio Paz Lozano was a Mexican poet-diplomat and writer. On his father's side, his grandfather was a prominent liberal intellectual and one of the first authors to write a novel with an expressly Indian theme. Thanks to his grandfather's extensive library, Paz came into early contact with literature. Like his grandfather, his father was also an active political Mexican journalist who, together with other progressive intellectuals, joined the agrarian uprisings led by Emiliano Zapata. Octavio Paz began to write at an early age, and in 1937, he travelled to Valencia, Spain, to participate in the Second International Congress of Anti-Fascist Writers. Upon his return to Mexico in 1938, he became one of the founders of the journal, Taller (Workshop), a magazine which signaled the emergence of a new generation of writers in Mexico as well as a new literary sensibility. In 1937 he married Elena Garro, who is considered one of Mexico's finest writers. They had met in 1935. They had one daughter, Helena, and were divorced in 1959. In 1943, Octavio Paz travelled to the USA on a Guggenheim Fellowship where he became immersed in Anglo-American Modernist poetry; two years later, he entered the Mexican diplomatic service and was sent to France, where he wrote his fundamental study of Mexican identity, The Labyrinth of Solitude, and actively participated (together with Andre Breton and Benjamin Peret) in various activities and publications organized by the surrealists. In 1962, Paz was appointed Mexican ambassador to India: an important moment in both the poet's life and work, as witnessed in various books written during his stay there, especially, The Grammarian Monkey and East Slope. In 1968, however, he resigned from the diplomatic service in protest against the government's bloodstained supression of the student demonstrations in Tlatelolco during the Olympic Games in Mexico. In 1980, Octavio Paz was named honorary doctor at Harvard. Recent prizes include the Cervantes award in 1981 - the most important award in the Spanish-speaking world - and the prestigious American Neustadt Prize in 1982. A collection of Paz's poems (written between 1957 and 1987) was published in 1990. In 1990, he was awarded the Nobel Prize for Literature. 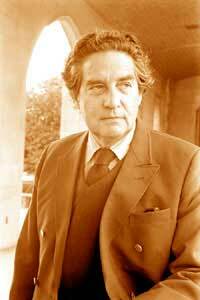 Octavio Paz died of cancer on April 19, 1998, in Mexico City.